The elementary school in my home town is being closed at the end of the year in some sort of bid to close a financial gap the district is having. 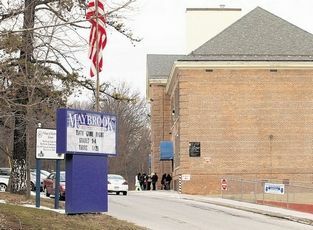 According to this article, the closing will save the district $730 grand a year. In the grand scheme of educating young people for today and in the future, that amount seems like chump change to me. It seems especially so since the school district is operating with an $8 million dollar deficit. $730 thousand dollars seems like a drop in the bucket when you consider that number. However, I will concede: in these knee-jerk political times we live, I’m sure any meager savings will look good on some pencil-pusher’s ledger. Where are the new comics? Sorry folks, I’ve been a bit swamped as we move into the last part of the school year! 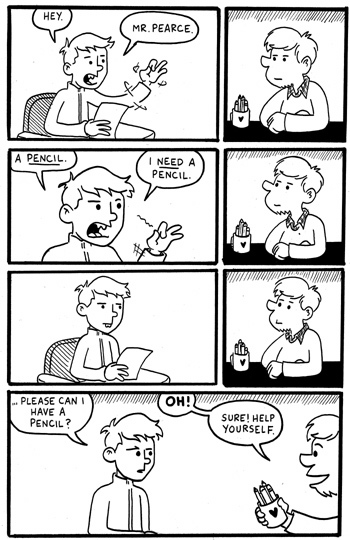 I’m going to start working on some new strips in the next week or so. 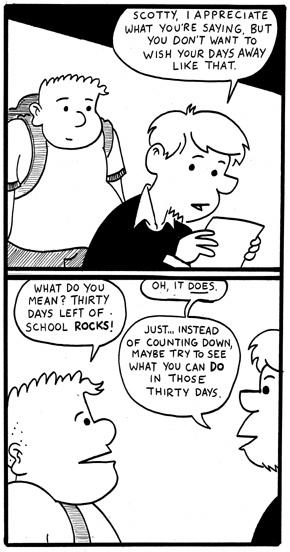 I know it’s the equivalent of recommending reruns to people who already watched something in first-run, but I’ve been reposting some of my older strips on my Tumblr blog, for those interested. I’ve been really pleasantly surprised with the reception my work has gotten over there and I’ve been featured on Tumblr’s Education tag numerous times in the past few months. 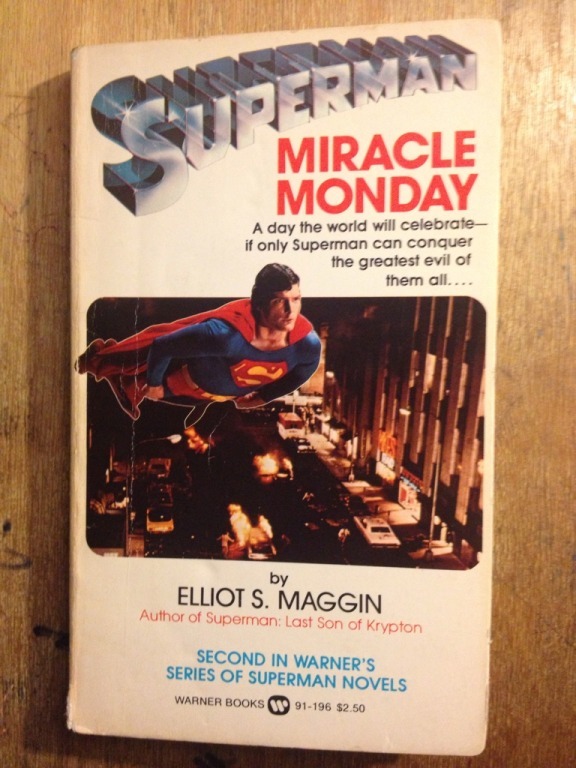 This week’s Thrift Store Find is Superman: Miracle Monday, written by Elliot S. Maggin and published by Warner Books in 1981. Cover price was $2.50, I got it for a quarter. This is the second in a series of paperback novels Warner Books published, presumably in conjunction with their Superman franchise of movies starring Christopher Reeve. Superman II was released in theaters in 1980; presumably this book was in bookstores to capitalize on that film. You are currently browsing the Teachable Moments blog archives for April, 2013.